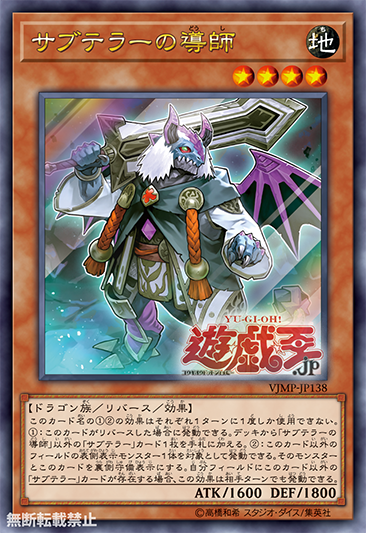 The next Jump promo card which supports the Subterrors finally has it’s effect revealed (and confirmed with a card image) and it’s a pretty nifty searcher! (1) FLIP: You can add 1 “Subterror” card from your Deck to your hand, except “Subterror Guru”. (2) You can target 1 other face-up monster; change that monster and this card to face-down Defense Position. This effect can be activated during either player’s turn, if you control another “Subterror” card.